Christmas season brings chilly weather and snowy delights for the persons who love to take pleasure in the freezing climate and enjoy playing with velvety snow. People who love showers of snow would pray to get their desired fulfilled on the day of Christmas to get the double treat of Christmas merriments. However, not all the area contains such weather settings to have feathery snow especially at the time of Christmas. That’s why people intended to head to those areas, which are famous for heavy snow showers during the Christmas. One of the outstanding destinations those are renowned for white Christmas atmosphere. You would love to enjoy the scenic landscape with load of snow and celebrative activities. Well-decorated ethnic villages, towns, streets, and markets with glistening lights will captivate your attention to make you indulge in lifetime experience of white Christmas. Austrian Christmas traditions more or less resemble with mainstreams customs of the world. Starting from the St. Nicolas festival who come along with devil and distribute desired gifts, sweets, apples and nuts among kids according to good and bad deeds they have done all through the year. People love to gather around the open fireplace to enjoy the play of nativity and later they surround the Christmas tree for midnight mass to open the Christmas gifts with high zest and zeal. Carol singers visit every house with burning torches and playing brass music instrument to wish everyone the holy eve. This tradition has been started in 1818 accidently and then followed each year until now. Christmas cannot be completed in Austria without warm home baked cookies. And the Christmas tree is secretly decorated by parents while kids can only see it after they hear the bell ringing. Austria is extremely romantic destination to celebrate grand event of Christmas. It contains marvelous panoramic views that outshines in the season of winter with white furry snow layers. Some of major Austrian attractive places are suggested here. Vienna offers you lots of interesting places to visit during your stay on the occasion of Christmas. As it has been the imperial court for 6 centuries, it contains a fascinating array of architectural legacy that you never want to miss. To relish the flavors of Vienna you can find diverse kinds of restaurants that provide traditional treats along with the high class sophisticated dinner deals. You can take services of guide tours of all around the Austrian region. Attractive Danube River can be enjoyed while visiting the historic Silent chapel. The ‘December Market’ in Vienna city has been established since 1294 and known to be the innovator of the Christmas markets in the world. Salzburg opens another façade Austria towards you to let you enjoy more with exciting activities and heart throbbing sightseeing. Here you will find historically and culturally rich spots, most prominently fortress – Hohen Salzburg is a must-see location. 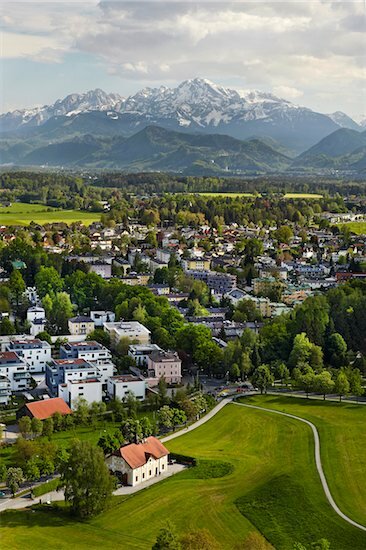 Neighboring town of Salzburg can also be explored where you can visit the exclusive salt mines with tempting activities and attractions. The most exciting part of this city is the Crystal work of Swarovski where you can mesmerize your eyes with translucent glowing crystal artifacts and also can buy the affordable. Furthermore, you can explore the Christmas markets by strolling on the snow carpet at the old town square built with landmark golden roofs. Traversing through the market provides you charming gift ideas for Christmas celebration as a gesture of kindness for relations encircling you to elevate the pleasure factor. All these thrilling temptations of Austria can make your Christmas incredibly exciting to be an unforgettable affair of your life.